Includes free Amerimist Kit valued at $30.00 - nothing to do it will be added automatically to your order. 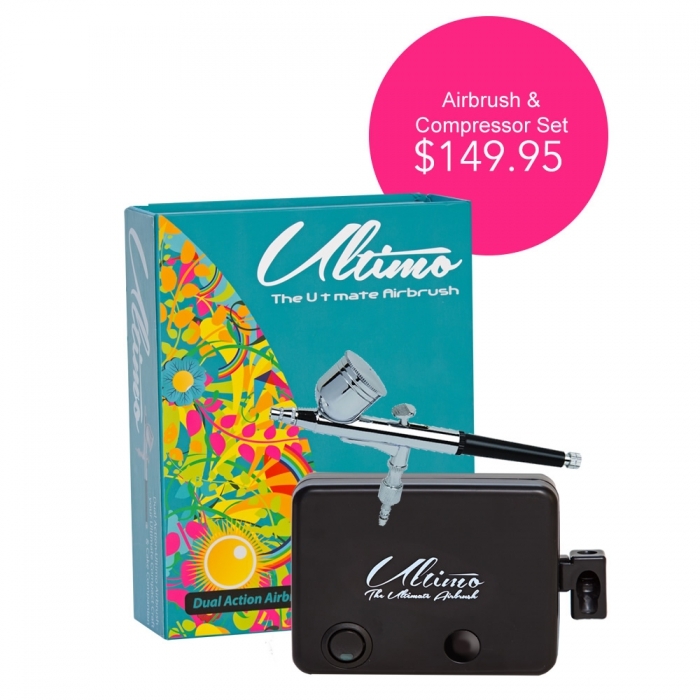 The Ultimo Airbrush and Compressor Set features a dual action airbrush and 25-30 PSI output. This compact companion delivers exceptional output, with a moisture trap and easy release tube its the must have crafters tool. The Ultimo offers superior results for craft and cake design and its small compact size makes it easy to take along with you. 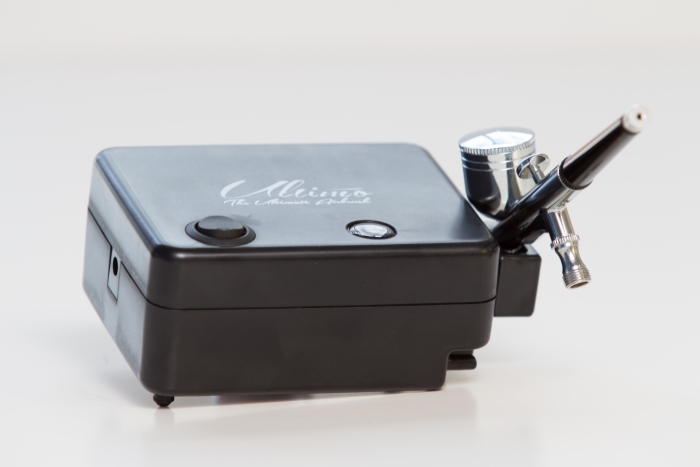 We think it is the best value for features airbrush and compressor set on the market, and the customers who have purchased it agree. 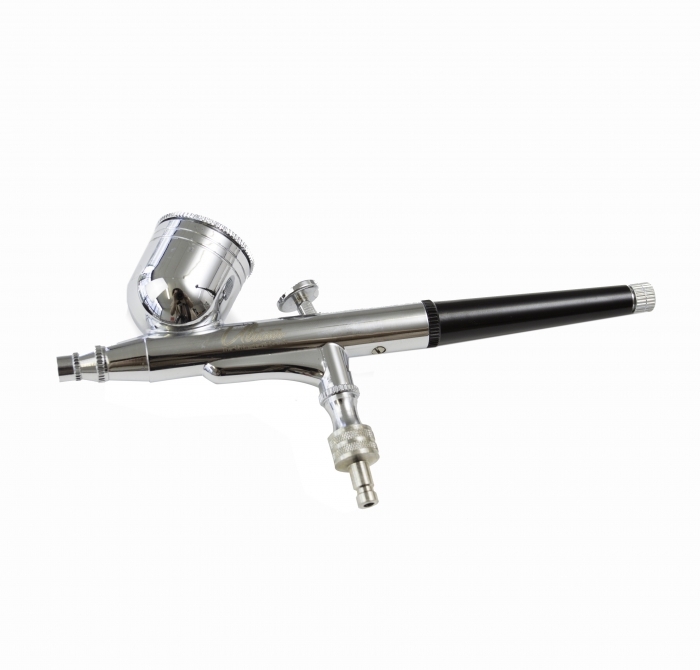 It is Our Best Selling Airbrush with over 2000 units sold in Australia. Dual Action Airbrush with 6cc cup, allows you to have control of the spray far more effectively. No continuos spray of air when you take your finger of the trigger. The compressor stops. Instructions containing information on use. PLEASE NOTE: THIS ITEM WILL NOT BE SHIPPED OUTSIDE OF AUSTRALIA.